The “By The Wine José Maria da Fonseca” is the first flagship store of the company in Lisbon, located in the historic neighborhood of Chiado. 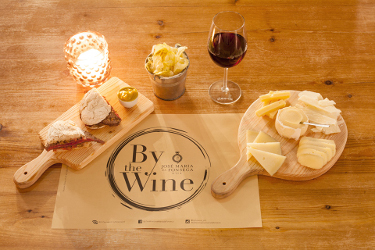 The offer combines the availability of all of the wines from José Maria da Fonseca “by the glass” as well as by the bottle and also a range of local food delicacies. Among the different gastronomical options, one can find the bread from the Algarve, iberico ham of bellota and cold meats from Guijuelo (Salamanva area), various plates of chesses (where the famous Azeitão cheese is present), oysters from the Sado, mussels salad, salmon ceviche, carpaccio and different desserts to accompany the Moscatel de Setúbal wines. This flagship store is open from Tuesday to Sunday from 12 to 00, Monday from 6pm to 00 and will host several launches of new wines, tastings and wine courses open to the public. A relaxed environment for food and wine lovers, in the heart of Lisbon. We are waiting for you!